Here we go lovelies! Since so many of you have expressed interest in fashion trend reports (via this survey) I’m resurrecting the series. While Europe is deep into winter, Australia is enjoying summer. 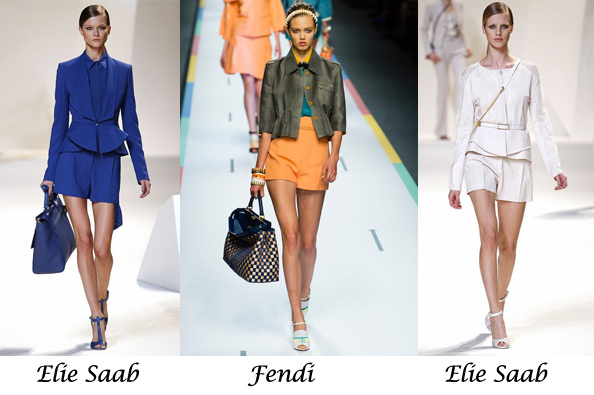 So why wait another year before we can rock some of the trends seen at Spring Summer 2013 Paris, London and New York Fashion weeks? After all, being stylish isn’t about following the trends but rather about being informed on the latest fashion happenings and adopting ideas that suit you best. As you see dear readers, prints and bright colours are still going strong. 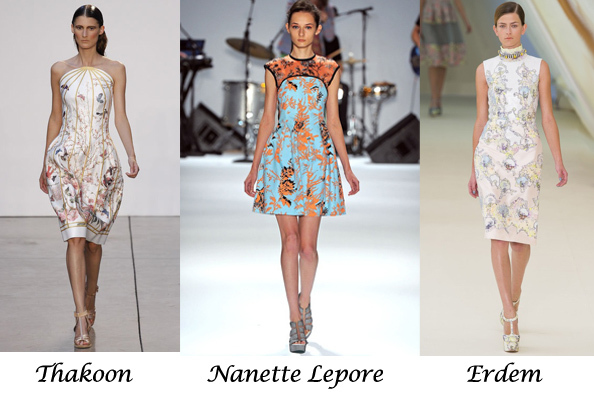 So hold onto your floral pants, you’ll rock them in summer 2013 too. 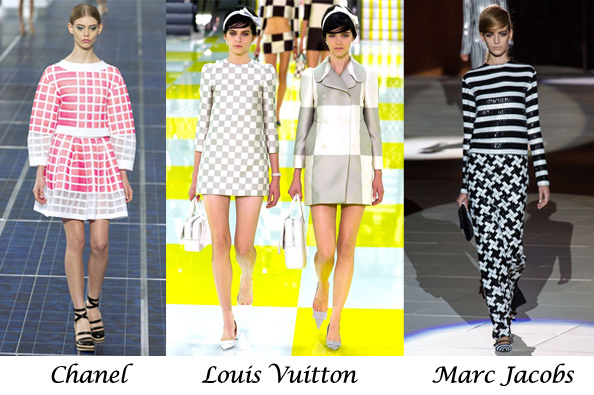 The main difference between last season and season 2013 is there are more ladylike styles in 2013, i.e. 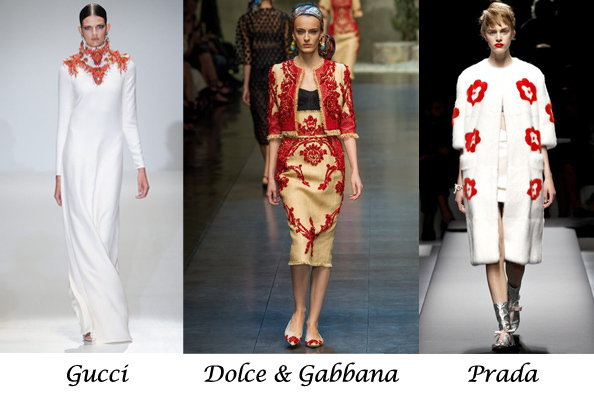 full skirts, feminine dresses, lace and elegant silhouettes. As for the colours, white and red (yay!) 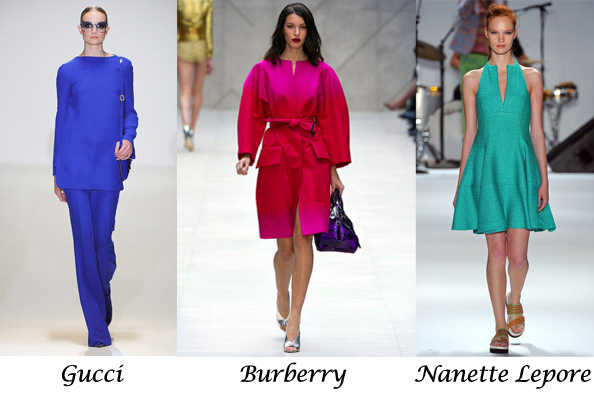 combinations (Prada and Dolce & Gabbana) and monotone ensembles in electric blue (Gucci), fuchsia and aquamarine will be popular. Now, dear readers, please review those wonderful designs again and tell us which you like the most or which ideas seem like suitable for you this summer? 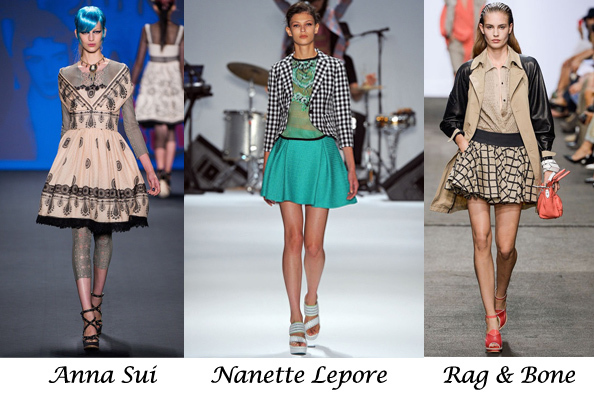 Yes, the whole collection by Anna Sui was amazing… it was so difficult to pick what looks to feature. Everything sooo beautiful!